What’s The Secret To Battling Brutal Outdoor Weather? It all comes down to your Heating, Ventilation & Air Conditioning systems, and it helps to have the best HVAC service to keep your equipment running! 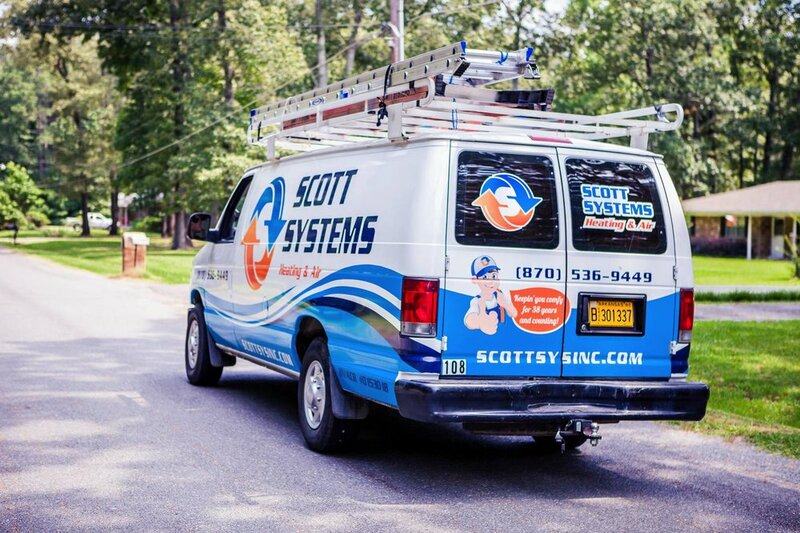 Scott Systems is Arkansas’ trusted HVAC contractor for all your home and business air conditioning and furnace maintenance needs. We are pleased to provide both installation and repair. When you work with one of our talented technicians, you can trust that you will be getting the best in home heating and control systems. If you’re looking for professional HVAC services for your office, home or even local churches and shared community spaces, we would love to work alongside you. From installing a furnace, to ensuring proper function, we will help you get the most out of your new or existing HVAC system whether you need repair, maintenance, upgrade or installing new heating & air conditioning equipment in your home. Financing options are available. If you’re interested in getting your business property outfitted with control systems and custom made sheet metal ductwork, we have the solutions for you. We can give you the control for setting the perfect climate for every zone of your building. Get a free pricing quote today. More than just Heating & Air repair. Industrial plants require proper climate control in order to provide the best working conditions. 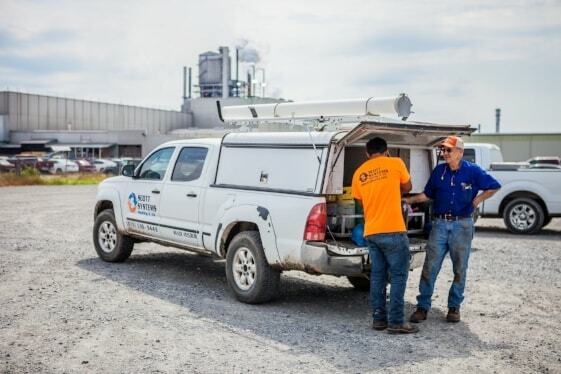 Scott Systems will help you determine the best HVAC solutions for your industrial property. Choosing Scott Systems gets you access to a full-service sheet metal fabrication shop. We fabricate and install a wide variety of custom ductwork for your home, or any size installation. We install control systems that are designed to provide individualized climate control to specific rooms of a property. These products are perfect for commercial and industrial buildings that regularly house dozens of individuals. We're proud to work with some of the finest businesses in the state.